Potter County Commissioners continue to await payment from the state for its share of District Attorney Andy Watson’s salary. 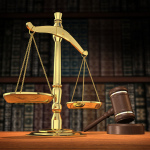 Act 57 of 2005 obligates the state to pay the 65 percent of a full-time DA’s salary, which will increase to $182,184 in 2019. 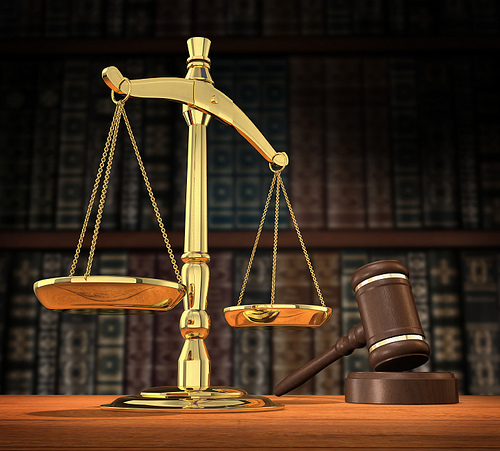 By law, the District Attorney’s salary is $1,000 less than the salary of a county’s President Judge. When those payments lag, the county covers the entire cost, a situation that does not sit well with commissioners across the state. According to a spokesman for the Office of Attorney General, the Criminal Justice Enhancement Account does not have enough funds to reimburse the full amount. As the funds continue to accumulate in the account, the state will make a partial payment for the overdue 2018 reimbursement. Groundwork continues to be laid for the new 911 emergency communications network that will service Potter County’s fire, ambulance, medical services and police agencies. At a recent meeting, Commissioners Doug Morley, Paul Heimel and Susan Kefover approved an installment payment toward the system, which carries an estimated price tag of $4 million and has a life expectancy of approximately 15 years. Rather than incurring a major up-front expense that would create an immediate burden on taxpayers, the commissioners negotiated a low-interest loan from a local lending institution with a payback period of 10 years. A portion of the 2019 loan repayment obligation will be provided by a one-mill increase in the real estate tax, which will cost about $1.65 monthly for the average residential property owner. The county also qualified for a $580,000 state grant to help ease the local tax burden. Consultant Mitch Smith, a former Pa. Emergency Management Agency employee who has been advising Potter County for more than 15 years, explained that through 14 towers, microwave relay technology and other infrastructure, communications coverage will be enhanced and response times by emergency agencies will be shortened. “Speed of response can be a life-or-death situation,” Smith explained. “The new system will be able to reach some sections of the county that have been underserved. It will also bring you new technology to replace equipment that has become obsolete.” Smith said he is working closely with Glenn Dunn, the county’s emergency management coordinator, and the two have reached out to emergency responders across Potter County to seek input on their communications needs and respond to concerns. Potter’s County’s current system was installed in 2002. Its life expectancy at the time was 10 to 12 years. Dispatching will continue to be provided from the Tioga County 911 Center, although the equipment is also compatible with other dispatch centers. Students in the Leadership Potter County (LPC) class had a rare opportunity to walk in the shoes of nearly two dozen people who are actively engaged in the county’s award-winning criminal justice reform mission. They spent all day Friday engaged in an exercise that demonstrated the complexities, the challenges and the accomplishments of changing decades-old systems of administering justice, all played out against a backdrop of fiscal limitations and differing philosophies and beliefs. This year, rather than touring county offices for a general lesson in local government, the future leaders participated in a real-life exercise involving the offer of a $500,000 federal grant that could be used for any number of criminal justice initiatives. The day began with a mock meeting of the Potter County Commissioners during which there was a spirited debate focused on whether to accept the grant — and somehow come up with a required $250,000 in matching funds from the county — or forego the opportunity. LPC members then met with a broad variety of county officials whose jobs would be affected. 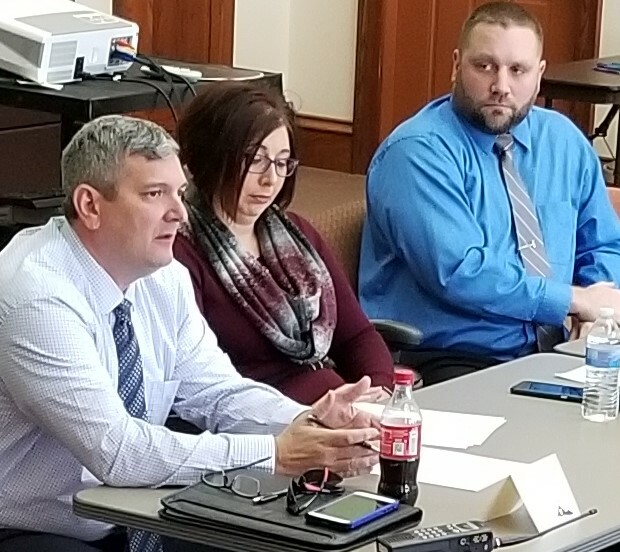 One of the panels, shown above, consisted of (from left) Derick Morey, Probation Department; Colleen Wilber, administrator of drug and alcohol treatment programs and the Potter County Criminal Justice Advisory Board; President Judge Stephen Minor, and District Attorney Andy Watson. They also heard insights from a panel consisting of (l. to r.) Mike Delp, Pa. State Police, and Magisterial District Judges Kari McCleaft and Chris Kalacinski. Potter County Jail Deputy Warden Angela Milford conducted a tour of the facility. Among other participants were Dave Hyde, A Way Out; Andrea Lehman, Domestic Relations; Jim Kockler and Bryonna Swede, Human Services; Brian Abel and Gabrielle Milford, Probation. All of the speakers discussed the latest trends in criminal justice, focusing on the county’s DUI and Drug Treatment Courts and related alternatives; Pre-Trial Diversion options for qualifying offenders who suffer from addiction and/or mental illness; re-entry services that could be implemented at the jail to help inmates successfully transition back to society, and others. County historian David Castano spoke to the group on the history of the courthouse, complete with interesting anecdotes from the past. To close out the exercise, Commissioners Doug Morley, Paul Heimel and Susan Kefover — joined by Chief Clerk Kathleen Majot for a budget review — held a follow-up mock meeting to receive recommendations from the LPC students and answer questions about the county’s fiscal operations. Environmental issues with a major wind energy generation project plotted across 7,000 acres in Hector and Harrison townships were reviewed at Monday’s meeting of the Potter County Water Quality Work Group. 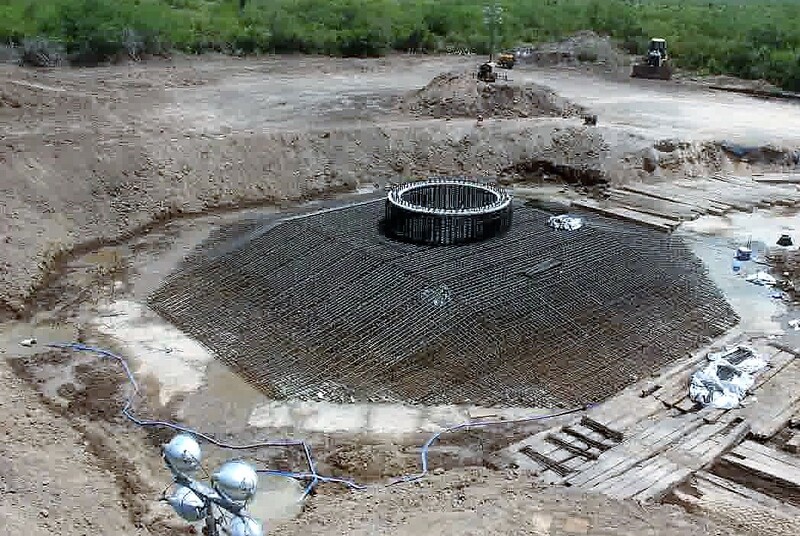 Each of the 24 turbine sites requires about 10 acres of timber-clearing and road construction in sensitive environmental areas where high-quality tributaries and wetlands could be affected, chairman Jason Childs reported. He said the Potter County Conservation District, Pa. Fish and Boat Commission, and Pa. Dept of Environmental Protection have all been monitoring the site work. Canadian energy giant Trans-Alta hopes to have tower construction completed by the end of 2019. The project is centered in the Dodge Hollow/White Knoll area off Rt. 49. Turbines will be nearly 660 feet high, which will rank them among the tallest in the world. For comparison, the Statue of Liberty measures 305 feet from the ground to the top of its torch. Developers struck a land surface use deal with the property owner, a forestland investment subsidiary of John Hancock Mutual Life Insurance Company. Electricity will be fed into the grid through a First Energy line. Darrell Davis from the Genesee Headwaters Watershed Assn. discussed a permeable pavement project that is being planned as an educational partnership at Northern Potter High School. Danielle Rhea, the new regional water resources educator from Penn State Extension, introduced herself. Based in Jefferson County, she will serve a nine-county area. She previously was an agriculture conservationist in Allegheny County. Charlie Tuttle, chair of the Triple Divide Watershed Coalition, reported on ongoing monitoring of public water sources across Potter County. She also said plans are being made to host a Pennsylvania Rural Water Association training session in Coudersport, with details to be announced. Potter County Conservation District will be filling its dirt and gravel/low-volume road technician position later this month. The annual Crops and Planting Clinic will be held Jan. 25 at the Tri-County Firehall in Ulysses. 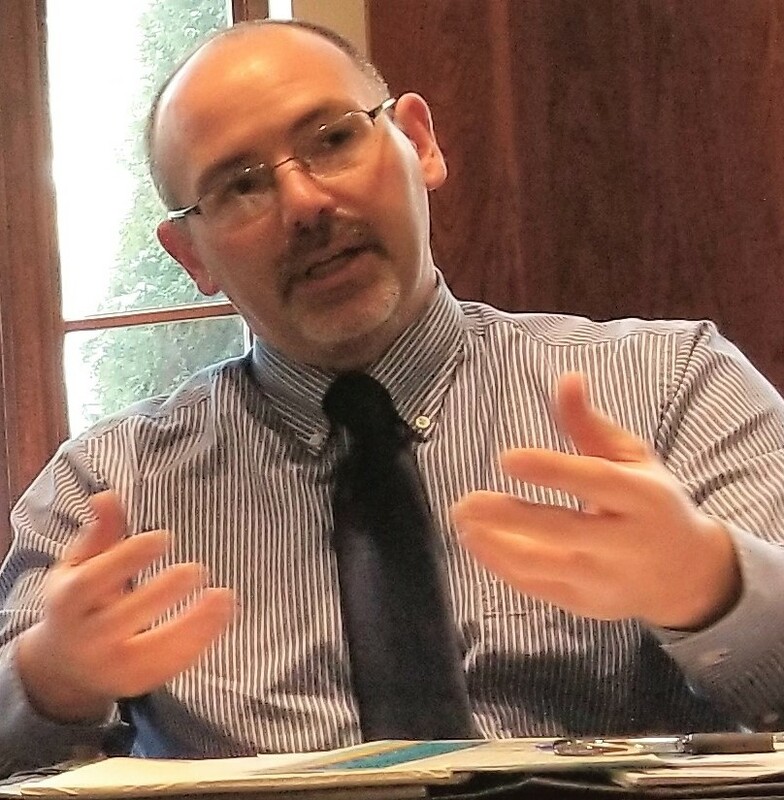 Planning Director Will Hunt reported that there has been an outstanding response to an online survey for input on the Northcentral Pa. Tri-County Comprehensive Plan. Small business owners and people who would like to go into business can get some practical advice from an expert source in Coudersport. For more than two decades, the Clarion University Small Business Development Center has provided counsel. Aleshia Marshall, business outreach consultant, is now available by appointment at the Potter County Education Center in Water Street in Coudersport. There is no cost. More information is available at 814-393-2060. Among the topics that can be covered are financial analysis options, market research, business plan development, environmental compliance issues, marketing, management and others. A regional plan to reverse some troubling trends in northcentral Pennsylvania was spelled out during a meeting attended by a host of public officials Friday at the Gunzburger Building in Coudersport. A prominent consulting firm, Fourth Estate, was contracted to produce a blueprint for “regional talent attraction and retention,” geared toward filling local jobs, retaining young adults and providing training and related educational opportunities. Focus of the study was on the counties of Potter, Cameron, McKean, Elk, Clearfield and Jefferson, where a demographic study has forecasted another five-percent decrease in population and the retirement of one-fourth of the current labor force over the next decade. “The writing is on the wall,” the blueprint’s authors wrote. “The population is declining, the labor force is aging, and those trends will not be reversed by natural forces.” A series of action items was presented in the report, complete with recommendations on partners who should be engaged to implement the plan, ranging from county governments, economic development and agencies, industries, tourist promotion organizations, educational institutions, employment services, state agencies, retailers and other private-sector representatives. 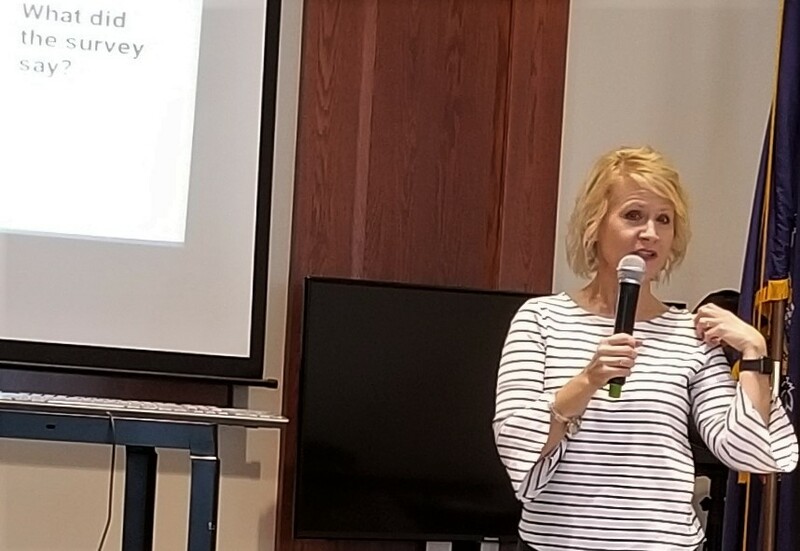 Susie Snelick (above), executive director of Workforce Solutions for Northcentral Pa., shared the study’s action plan during Friday’s workshop and moderated the discussion. Each of the challenges identified in the blueprint has a series of goals to be pursued incrementally over the next decade. Among those participating was Jim Chorney (right), interim executive director of Northcentral Pa. Regional Planning and Development Commission. He emphasized the importance of expanded internet access and coordinated efforts between the private and public sectors. Northcentral has a working relationship with Workforce Solutions and the study’s other sponsor, a consortium of major employers incorporated as Manufacturing, Education and Employee Advancement Inc. Snelick said the report is a starting point for the formation of strategic partnerships to be developed for implementation.